Can I use my sister’s free teeth whitening trays to straighten my teeth? Many dentists offer free teeth whitening to their patients, but both the trays and the gel are for the patient’s use. Your sister’s free teeth whitening trays are not a substitute for orthodontic treatment. There are several reasons why. Will Free Teeth Whitening Trays Straighten Your Teeth? Design – Teeth whitening trays are designed to keep bleaching gel in contact with your teeth and away from your gums. That’s it. They have no other purpose. They are not designed to move your teeth. But if you wear someone else’s trays, your teeth could be damaged. Material – Even if they are custom made, the material of whitening trays is not rigid enough to correctly move anyone’s teeth. Customization – Teeth whitening trays only come in a single set. Invisalign trays are a series of custom aligners that gently move your teeth to the correct position over time. The aligners and treatment plan are customized for each patient. The attempt to move your teeth to the correct position with a single set of trays can damage your tooth roots. 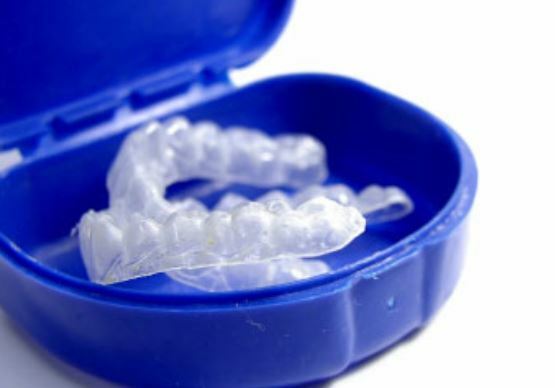 Orthodontic trays are developed based on the structure of your teeth and mouth, so it is unsafe to wear someone else’s aligners, even if they are specifically made for orthodontic treatment. Want Your Teeth Safely Aligned? The only solution to correctly align teeth is to receive orthodontic treatment from your dentist or orthodontist. A treatment plan and braces will be customized based on the condition and position of your teeth—not someone else’s. If you want your teeth aligned, speak with your dentist or an orthodontist about your smile goals. He or she will explain affordable options and how financing or payment plans can help you meet your goals. Don’t take orthodontic treatment into your own hands by using free teeth whitening trays or any other means that is unsupervised by a dentist. It will cause serious damage to your smile and make the current condition of your teeth worse. This post is sponsored by Plano TX dentist Dr. Miranda Lacy. Previous PostAffordable Dentist Gave Me a Bad CrownNext PostWill the type of sedation dentistry use differ with each specialist for dental implants?